Introduces the water world by conducting courses based on water activities which are open to all who qualify entrance conditions. Placid as well as wild water of mountain rivers are the medium of instruction. Skills and techniques required for safe Watermanship are emphasized. Adventure with water as the main element. 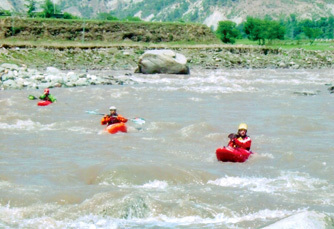 River and lake environment is utilized to impart basic skills of watermanship. Canoes, Kayaks and Rafts are used. Instructions include rowing and paddling, boat and sail navigation. Safety and life saving procedures are taught. Participants must know basic swimming. Open to Children of 11-14 years. 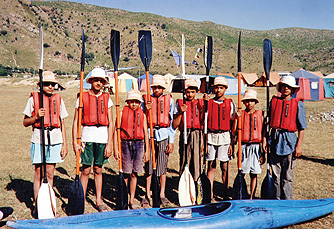 Advanced techniques of boatmanship using Kayaks, Canoes, Rafts and introduction to white-water river exploration. 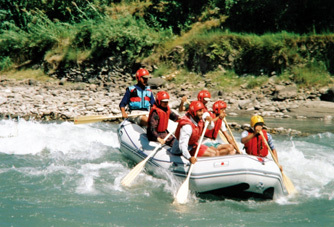 Includes planning river expeditions, rescue procedures and safety drills. Open to youth 16 year and above. Designed to the syllabus of instruction for lifeguards laid down by the International Life Saving Federation (ILS) to which the Foundation is affiliated and represents it in Pakistan. Open to all aged 18 years and above. Must be a good swimmer.